My favourites, converted from a 2nd ed. 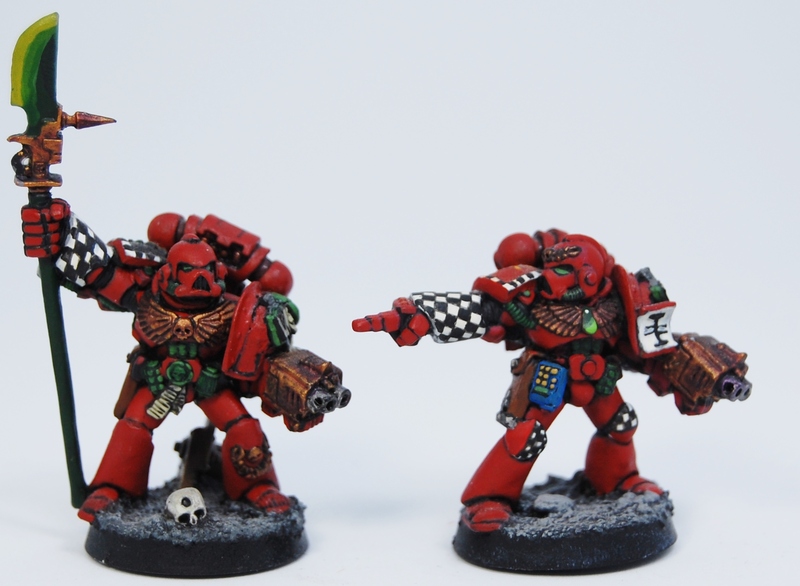 Standard bearer and Blood Angel Sergeant…no matter what they are armed with they all just count as the same which was easy but now harder since in 8th ed. they can have different armaments… lucky we only play 2nd ed.! 3 games of #Mordheim tonight...the setting is #Sartosa, #Estalians vs. #Norse. 3 nil to the Norse sadly but still good fun.